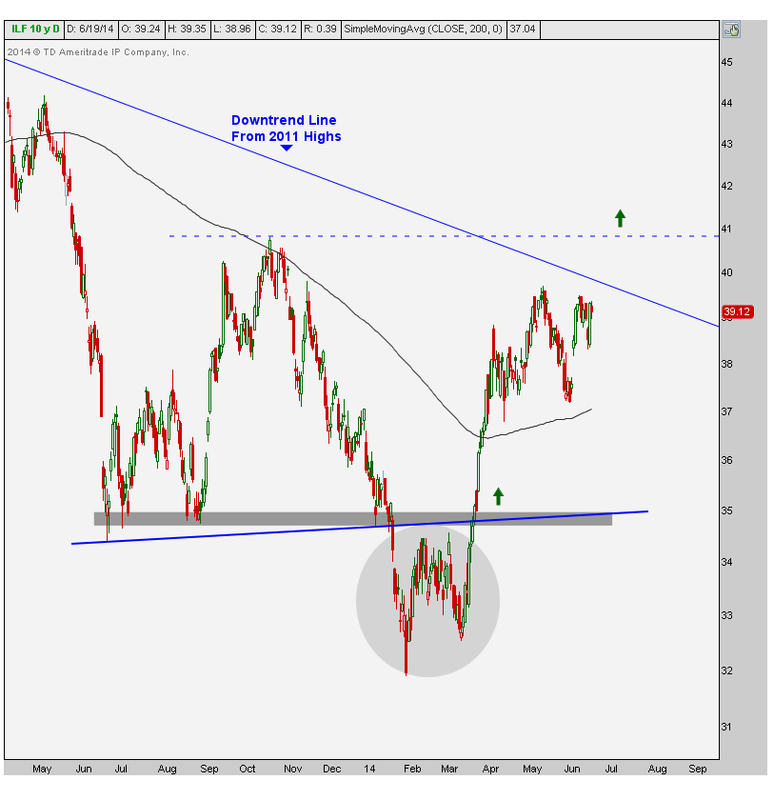 Did you Listen and Take Profits In Treasury Bonds Last Week? Which Developed Markets Should We Buy: Europe or Japan? Is It Time To Own China? Why? Which Stocks Will Lead the U.S. Stock Market Higher? Spreadsheet Of The Week: Why Is The U.S. Underperforming By So Much? Going country by country all over the world is one of the best tools that we have as market participants. The value that I’ve gotten over the years from looking at the behavior of all of the countries, instead of just the U.S. is a huge factor in why I am such a top/down weight-of-the-evidence guy. There are signs of strength and weakness that we see from international markets that might not be so obvious in the S&P500, for example. Last September, I promise you that the reason I got bullish tactically was not because of what I was seeing in the United States, but what was happening around the world. There were simply too many bullish momentum divergences and downside objective achieved internationally to ignore. Something was up, and in fact, the counter-trend rally that we got in the U.S. actually exceeded my expectations. Can Latin America Finally Get Going? Latin America has been one of the worst performing areas of the world since it peaked in 2011 with a lot of the metals and mining companies. The countries that make up the Latin America 40 index have a lot of exposure to that space so they tend to behave in a similar fashion. 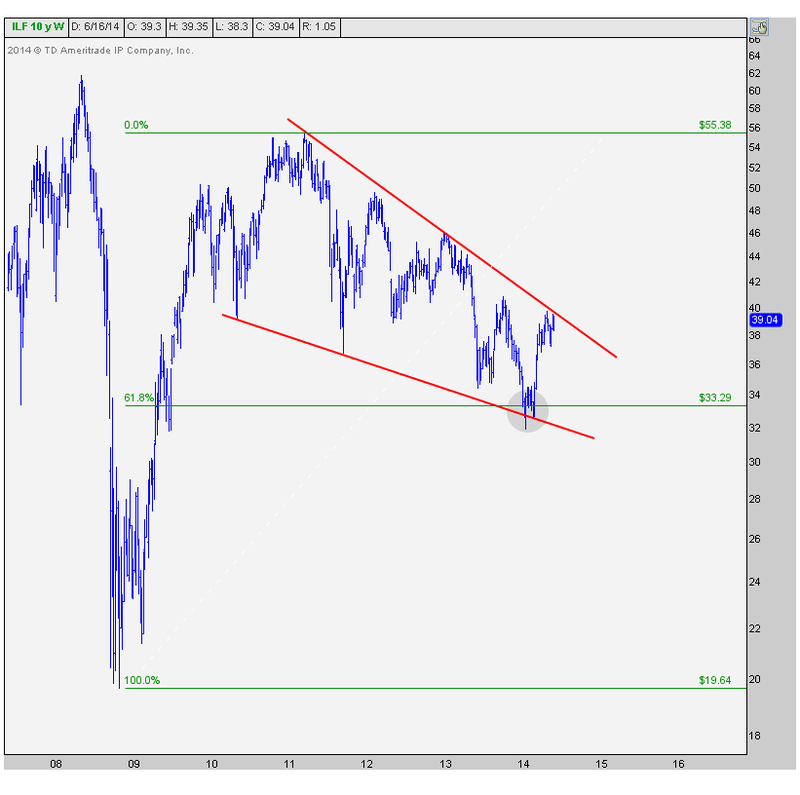 More recently, the index has been forming what looks to me like a falling wedge pattern. A breakout clean above this formation would trigger the beginning of a new trend, which could mean some serious changes in money flow. Although a breakout above the upper downtrend line would be a bullish signal, I would feel much more comfortable calling this a new uptrend once we take out the October highs. This would be the first higher high, from a structural perspective, in years. I would then consider this to be extremely constructive for Latin America and the unanimously hated metals and mining space as a group. Long time readers know how much I respect a momentum divergence this massive, especially on a weekly time frame. 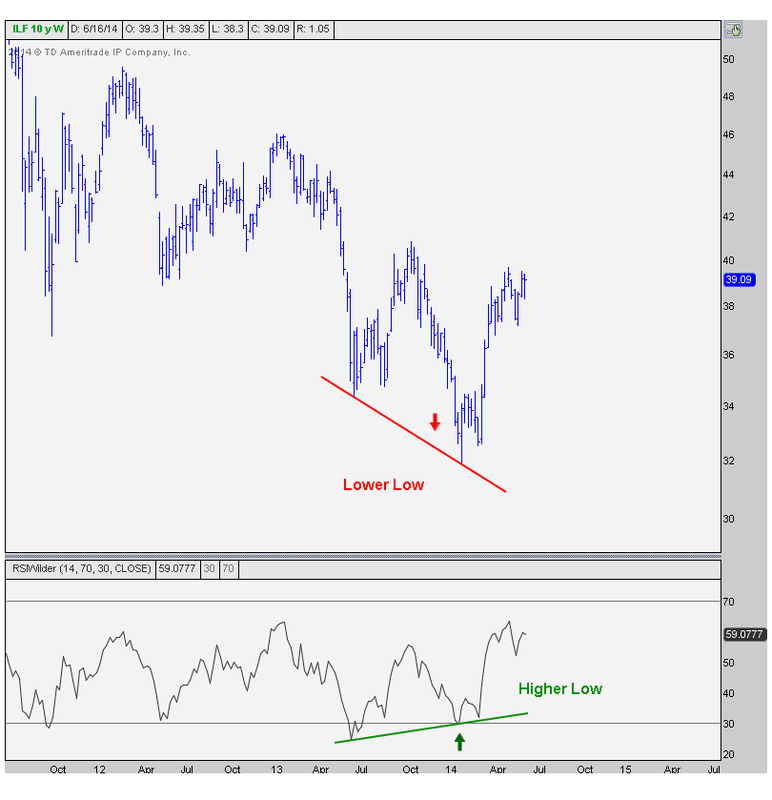 These longer-term divergences often ignite powerful moves in price that can last a long time. There isn’t really anything for me to do here personally execution-wise, because it doesn’t exactly fit my time horizon and risk parameters. To me, this is just an interesting development that could lead to a monster position in either the Latin America 40 Index, or one of its components, whether it be Chile, Peru, Brazil or otherwise. But we’re all different in terms of our goals, so this might be actionable for someone else. I can’t make that decision for you. Either way, I’m fascinated by what’s happening in this market. There are a lot of frustrated participants here as the developed nations race to historic highs and this market is still almost 60% away from getting back to the 2008 highs. What do they say? “One man’s trash is another man’s treasure”? I try my best to keep an open mind, but I can’t help but find these developments to be incredibly intriguing. REGISTER HERE for more information on how to access all of the Latin American Index Charts on multiple time frames including Mexico, Chile, Peru, Brazil and Colombia on a weekly basis.